a private, personalized training facility located in the heart of the Elmwood Village, in Buffalo, New York that specializes in fat loss and lean muscle gain. As our mission statement says, Fierce Fitness was created to change lives – not just bodies. Our community of satisfied clients knows this to be true and thanks to their success, Fierce Fitness has earned a reputation unmatched by other gyms in the area. It all started from humble beginnings in 1999, when founder and co-owner, Giovanni Preziuso began working as a personal coach. When he started out, Giovanni traveled to clients throughout the Buffalo area. In 2004, Fierce Fitness was formally established to offer a different kind of training experience and atmosphere – and we’ve been growing ever since. 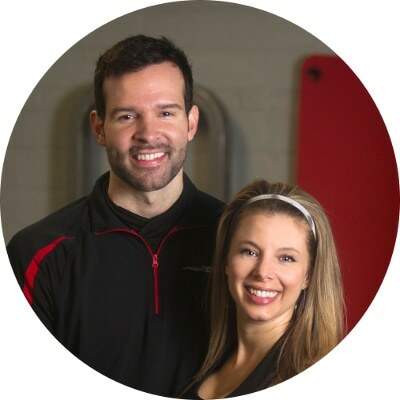 In 2011, Giovanni and his wife, Sherry Arndt Preziuso, partnered together in building Fierce Fitness into the one-of-a-kind training facility it is today. Located at 167 Ashland Avenue in Buffalo NY, from the outside, we offer a beautifully restored carriage house with old world charm. But once you step inside, you are wowed by the historic architecture artfully combined with completely modern amenities and equipment, making Fierce Fitness unlike any other gym in Buffalo. Fierce Fitness offers a 4,000 square foot private, friendly and secure training environment. Members have access to the building via a key-fob entrance between the hours of 5:00 a.m. and midnight, seven days a week (even holidays).